I’m delighted, even humbled, to be juried into a special exhibit, “Working on the Eastern Shore: A Photographic Study.” The show opens today at the Talbot County Visual Arts Center, in Easton, Maryland, with a public reception. It can be viewed during all of June. What do I mean by humbled? 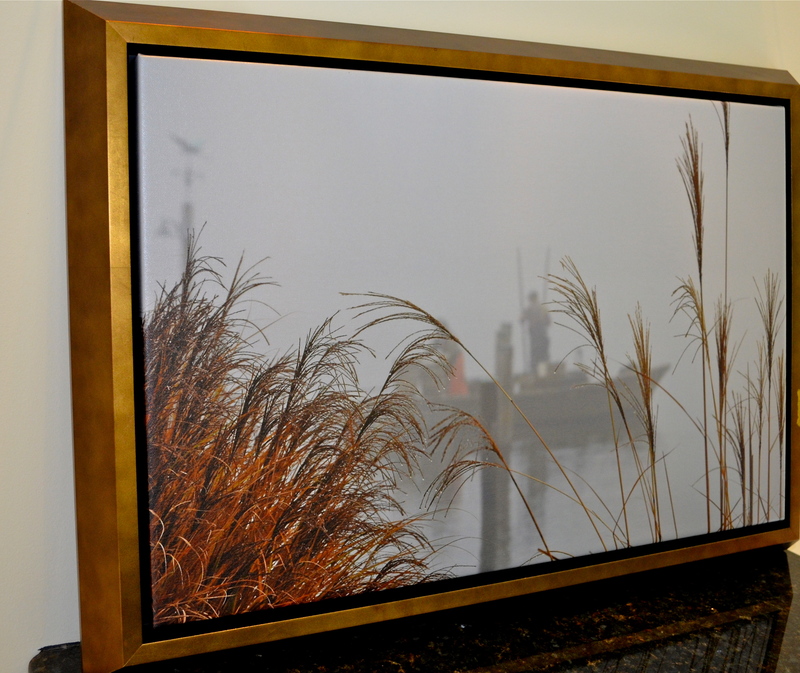 Much of the exhibit is from a few well established photographers who are known for the excellence of their work in this highly photographed region, with images of the people and natural wonders of the Chesapeake Bay. I’m a newcomer. The creators of the exhibit said they wanted to display some of the best photography of the Eastern Shore from the 20th Century, including contemporary photos from a few invited photographers. Yes…that is humbling company. Photographic work from A. Aubrey Bodine, H. Robins Hollyday, David Harp, Peter Gregorio, and David Stevens lead the exhibit. I submitted only one photograph, “Tonging for Oysters,” pictured here, and it was juried into the show. I selected the image because it reminds me of another time, though it is a contemporary photograph. I remember taking the photo on a cold December morning on the banks of Leadenham Creek, one of the Chesapeake’s many tributaries. There was a dense fog. I could see two watermen in a boat just ahead of me, yet they looked as distant as in another time…Old Time is still a-flying. Yet this image will live on.